You can add additional functionality in the form of plugins. You can change the look and feel of the blog just by a click and the changes are applied instantly. BlogJoint has compiled a list of Top WordPress plugins. You can find other posts mentioning the top plugins, only that this page mentions 80% of the plugins that I use ! 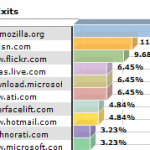 Browser Sniff – Detects web browser type and operating system. You can see this being used in the comments. Head Meta Description – Inserts HTML META description tag: excerpt/content brief for post/Page, description for category, and blog tagline for everything else. This plugin has helped in getting more traffic from search engines. 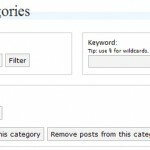 Google Analytics – This plugin makes it simple to add Google Analytics to your blog. Also as mentioned in my previous post, it can be used to track outbound links in your site. SideBar Widgets – This plugin makes the management of contents in the sidebar very easy. I am not sure how BlogJoint missed this plugin !! I kind of liked the ScaryLittle and fSpring theme very much and might be shifting to one of these in the coming days. New look and feel ! I am always on the look out for a good wordpress theme, I would love a plugin to make groups, or is there already one out there? Oh and a diary plugin.